The findings, reported in Progress in Oceanography, suggest ocean temperature will continue to play a major role in where commercially and recreationally important species will find suitable habitat. Sea surface temperatures in the Gulf of Maine have warmed faster than 99 percent of the global ocean over the past decade. Northward shifts of many species are already happening, with major changes expected in the complex of species occurring in different regions on the shelf, and shifts from one management jurisdiction to another. These changes will directly affect fishing communities, as species now landed at those ports move out of range, and new species move in. "Species that are currently found in the Mid-Atlantic Bight and on Georges Bank may have enough suitable habitat in the future because they can shift northward as temperatures increase," said lead author Kristin Kleisner, formerly of the Northeast Fisheries Science Center (NEFSC)'s Ecosystems Dynamics and Assessment Branch and now a senior scientist at the Environmental Defense Fund. 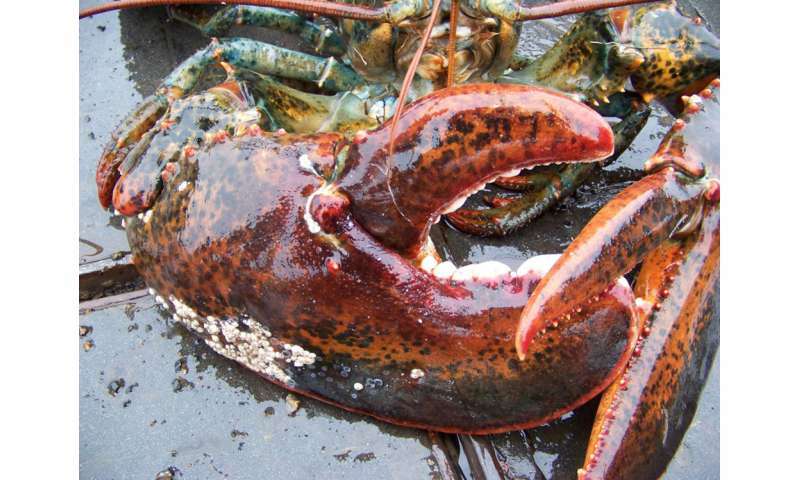 "Species concentrated in the Gulf of Maine, where species have shifted to deeper water rather than northward, may be more likely to experience a significant decline in suitable habitat and move out of the region altogether." "Similar studies in the past used a coarse model with a roughly 100-kilometer or 62-mile ocean resolution, while the new model has a 10-kilometer or 6.2-mile ocean resolution, making the simulation of oceanic and atmospheric features much more accurate," said Vincent Saba of the NEFSC's Ecosystems Dynamics and Assessment Branch, who works at GFDL and is a co-author of the study. Saba has compared the difference between the coarse model and the new high-resolution model as being similar to the difference between an old standard definition television set and today's ultra high definition screens. 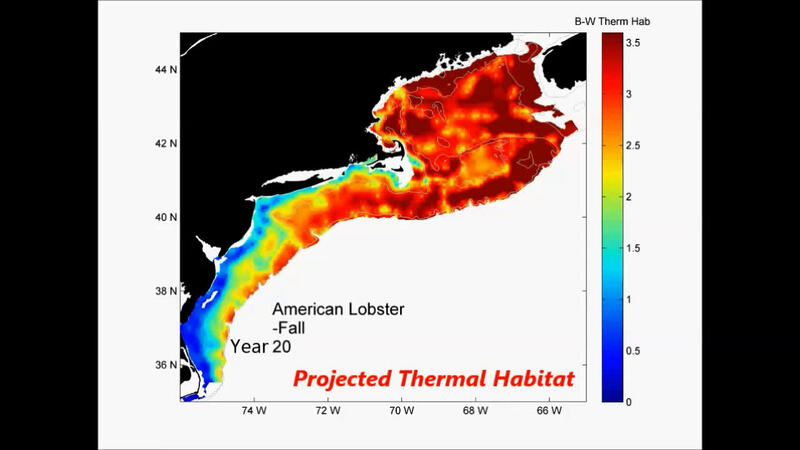 "Warming waters may have a positive effect on smooth dogfish, Atlantic croaker, and striped bass in the southern part of the Northeast Shelf, with increases in suitable habitat in terms of area and species abundance, " Kleisner said. "But these species are also shifting northward and the bulk of the biomass of some species may be further from the main ports in southern states, making it more costly for fishermen to access these species. Conversely, as species move into new regions, fishermen may have new opportunities." "These changes will depend on the pace of climate change and on the ability of species to adapt or shift elsewhere to maintain a preferred habitat," said Kleisner. "We did not examine fishing pressure, species interactions and other factors that may influence future distributions. 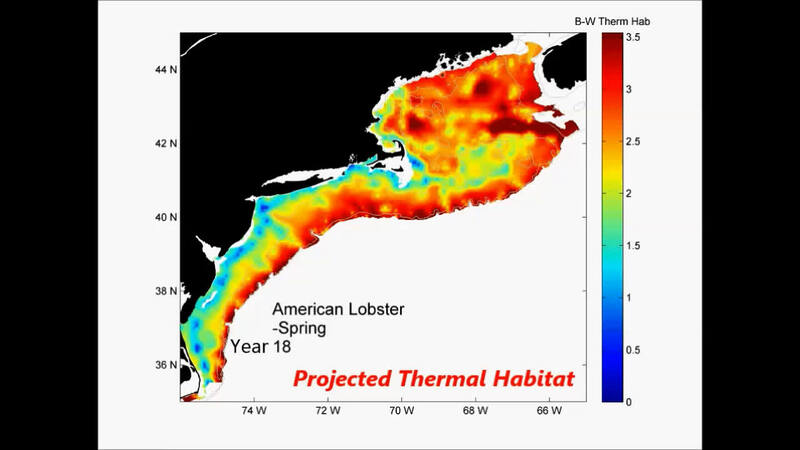 However, given the historical changes observed on the Northeast Shelf over the past five decades and confidence in the projection of continued ocean warming in the region, it is likely there will be major changes within this ecosystem." "Those changes will result in ecological, economic, social, and natural resource management challenges throughout the region," Kleisner said. "It is important to understand large-scale patterns in these changes so that we can plan for and mitigate adverse effects as much as possible." I wonder how much the marine species distribution shifted during the much warmer period called the Medieval Climate Optimum?